Fat Tuesday in Charlotte | South Charlotte Newcomers! Charlotte is celebrating Mardi Gras in true Nawlins style! The Queen City will be bursting with King Cake Babies, bead throwing and masquerade for a Fat Tuesday jubilation! NoDa, Charlotte’s favorite art district, will be filled with Carnival fun at the 2nd Annual NoDa Gras Mardi Gras Bar Crawl. Admission includes complimentary beads, great specials at each stop, Cajun cuisine. Musicians will lead the way in a mini parade as you taste and drink at designated locations. The fun begins at 7:00 on February 28th. Mardi Gras masks are a mysterious and beautiful part of Mardi Gras! Un BAL Masqué will be held at the Eighth Annual Mardi Gras Gala. This elaborate ball will benefit the Lupus foundation of America. Swing to live music, partake in a silent auction and enjoy having your fortune told! A masquerade contest and a coronation of the Gala King and Queen will top off the evening! The Masquerade Ball will be held on March 8, 7:00pm-12:00am at Center Stage, 2315 N. Davidson Street. 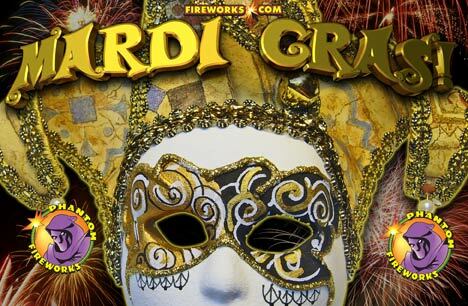 Charlotte Mardi Gras Parade of Beads Celebration will be on Fat Tuesday beginning at 6:00 pm! The Epicentre will have you partying in the French Quarter without ever leaving the fun of Uptown Charlotte! Special Creole menus will make your taste buds dance while your feet tap to New Orleans Zydeco favorites! A six-foot King Cake will welcome party goers at Libretto’s patio as they join the parade lead by several marching bands! Everyone’s favorite Cajun King chef, Emeril Lagasse, will offer his specialty New Orleans-inspired American cuisine at e2 emeril’s eatery in Uptown Charlotte. Charlotteans will no doubt enjoy the festive Mardi Gras menu offered February 27-March 4. A live, horn-heavy band, and free parade beads will add to the festive atmosphere as diners choose from a specialties including crawfish etoufee, fried oysters and, of course, King Cake! The Cajun Queen at 1800 East 7th Street is a Queen City New Orleans style favorite! Authentic New Orleans cuisine, the spicy crawfish etouffee and seafood gumbo is only enhanced by the live jazz music from some of Charlotte’s best musicians! Delicious food, fun and music IS Mardi Gras at its best! The Queen City celebrates Carnival in true Nawlins decadence and Southern style! 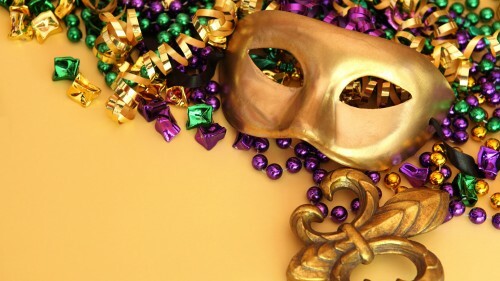 Join in the parades, dancing and Cajun cuisine for a fabulous Mardi Gras!